For those that have been keeping up to date with our instagram would have seen that I (Sarah) went on a little baby moon a few weeks ago with SmallLuxuryHotels. The main reason of the trip was to lay horizontal, relax and soak up some vitamin c; all of which were very much needed! It was early May and I had no idea where to go, I wanted sunshine & to chill but really didn’t want to go too far; for some reason it just felt a little scary to travel half away around the world for a week’s holiday. After lots of to-ing & frow-ing Crete was thrown into the mix…I love Greece and had always wanted to go to Crete & it was the best decision! 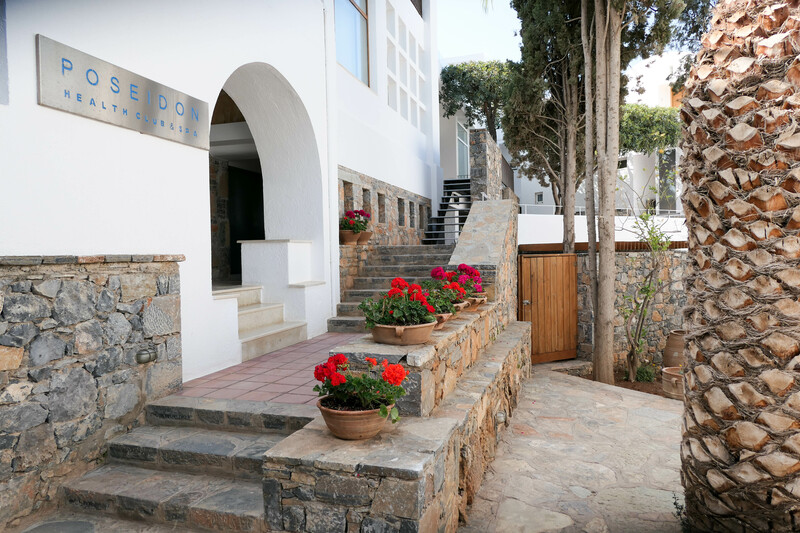 On SmallLuxuryHotels there was quite a few hotels to choose from in Crete & they all looked perfect. So, before two became three I wanted to take advantage of being able to stay in two hotels as I know this won’t be the case when the bubba arrives! As I’ve got older I’ve come to realise I definitely prefer smaller hotels, I hate the thought of rushing to wake up to get a seat at the pool, queuing for food and generally being around too many people when I’m trying to relax (can you tell I’m getting old?!) so SLH is my go to site as it only works with hotels that are both luxurious & small. After a ridiculously early flight we arrived at our first stop, St Nicolas Bay and I felt instantly relaxed. To sum up St Nicolas Bay in one word it’s ‘dreamy’… It felt like an oasis of calm surrounded by mountains & the most divine sparkling sea. The staff were wonderful, they could not do enough, hand delivering chocolate ice cream daily to the preggo lady has got to be up there as the best service I’ve ever received in a hotel! Check in was a breeze and we were lead to our seafront, private pool villa which we wouldn’t normally book, but it was such a treat. I loved the fact that we could walk straight out of the bedroom to the pool, it made us feel so chilled and meant getting dressed wasn’t always necessary 😉 The view from our suite of the glistening sea and the surrounding bay was so beautiful. We tended to spend the morning at the main pool which was not too busy at all (in fact I would say peaceful!) and then head to our own pool for the afternoon where I escaped into my books & podcasts. Bliss! The decor was typically Greek and minimal which I love and the room was roomy and airy. We had a little kitchen area, a walk in wardrobe (winning!) and a sitting area – we genuinely didn’t need to leave our little bungalow & I’ve got to be honest we didn’t actually exit the hotel for the first few days, we felt too relaxed! This was the view from our bed…we had sliding doors that opened to straight to this….it was a delight to wake up every morning! As well as days by the pool, we also liked to hang out on the cliff top loungers, what is it about the sound of the sea just making you feel so relaxed?! There was such a beaut breeze there and I’m still missing that salty sea air & turquoise waves! If you’re more of beach person St Nicolas Bay also has its own private beachfront in a cute alcove, we liked to take a daily post brekkie walk & toe dip along here before laying down for the rest of the day! The food was excellent and being gluten free they were so accommodating and helpful, amending dishes where needed and I didn’t find ordering difficult at all. In the past I have struggled in smaller hotels not being able to change things up but St Nicolas Bay were exceptional (hello GF club sandwich for lunch!) We decided to go half board (which I highly recommend) and dined in all the restaurants there; the food was pretty epic & the Greek buffet was particularly delicious. We always started the evening off with a mocktail / cocktail at the bar watching the sunset. On the final night we ate in the ‘Minotaure’ restaurant around the pool, which was so romantic. A candle lit dinner watching the sunset under the stars was the perfect way to end our stay there. Another treat at the end of our stay was a visit to the Poisedon spa, which was pure heaven. Being a big fan of Elemis I was so excited to try out the maternity massage there, which let me tell you, was utter bliss. I have never felt so relaxed – with the doors open and the splashing of the sea in the background it was perfection. I can’t recommend St Nicholas Bay enough, so much so I’m currently plotting when to go back…Thank you to SmallLuxuryHotels & St Nicolas Bay for hosting me. Stay tuned for part 2 of my trip….